As senior vice president and chief medical officer, Joan Faro, MD, oversees clinical quality, patient safety, physician collaboration and physician integration strategies at Mather Hospital. She also participates in strategic planning and business development. Working with Mather’s medical staff, Dr. Faro has initiated innovative programs in physician peer review, code of conduct development and the utilization of best practices in clinical decision support and diagnostic testing. Dr. Faro also serves as president of Harbor View Medical Services, PC — Mather’s multispecialty physician group — and chief academic officer of the community hospital’s Graduate Medical Education program, which she launched in July 2014. 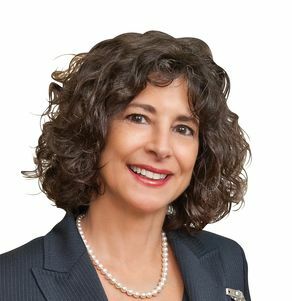 A clinical assistant professor in Stony Brook Medicine’s Department of Medicine, Dr. Faro has numerous professional memberships, including faculty for the Greater New York Hospital Association Clinical Quality Fellowship Program and member of the American Medical Association and the American College of Physicians, where she was elected to Fellowship in 1994. She is active in the Association for Hospital Medical Education, and is a member of the American College of Healthcare Executives, the American Association for Physician Leadership and the Medical Group Management Association. She was chair for Stony Brook Medicine’s Alumni Association for two terms and currently serves on a national committee focused on resident wellness through the Alliance for Academic Internal Medicine. Dr. Faro holds a medical degree from the Stony Brook School of Medicine and she completed her residency in internal medicine and fellowship in general medicine at Stony Brook University Hospital. She received an MBA from the New York University Stern School of Business in New York.